Chegg, the Smarter Way to Student, in partnership with truth, one of the largest and most successful national youth tobacco prevention campaigns, today announced Ohio State University, Main Campus, as the winner of a once-in-a-lifetime visit from Steve Aoki, the international producer, DJ and entrepreneur. 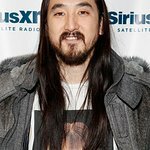 During the visit, Steve Aoki will host an exclusive Q&A with students and perform a few of his biggest hits. To celebrate the importance of arts in education, Chegg will also award the winning school a $10,000 grant for their music department from Chegg’s David B. Goldberg Music Scholarship fund. Chegg Music 101 at OSU will take place this month. truth is one of the largest and most successful national youth tobacco prevention campaigns. The campaign exposes the tactics of the tobacco industry, the truth about addiction, and the health effects and social consequences of smoking. truth gives teens facts to make their own informed choices about tobacco use and inspires them to use their social influence and creativity in the fight against tobacco. The campaign is credited with preventing hundreds of thousands of teens from starting to smoke, and is working to make this the generation that ends smoking for good. To learn more, visit thetruth.com.